The U.S. criminal justice system has long disproportionately impacted the Black community. 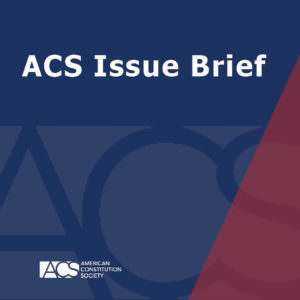 In her new Issue Brief, “Racism in the U.S. Criminal Justice System: Institutionalized Genocide?” Taifa, argues that this disparate treatment of the Black community could arguably rise to the level of institutionalized genocide under the International Convention on the Prevention and Punishment of the Crime of Genocide. Taifa asserts that the combination of multiple factors, including state-sanctioned and police-extrajudicial killings of African Americans, the physical and psychological toll of a near-police state in Black communities, and the destructive force mass incarceration inflicts on those communities, could arguably qualify as genocide or attempted genocide under the international and domestic definitions of genocide.